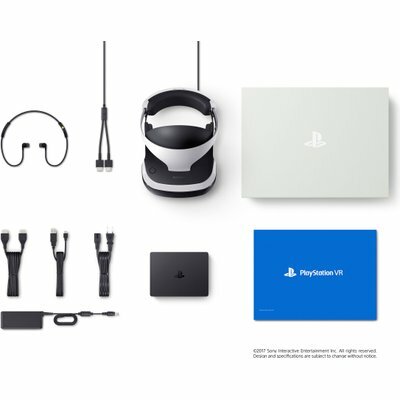 Discover truly breathtaking virtual reality worlds with over 100 amazing games and experiences with PlayStation®VR. Powered by cutting-edge technology, PlayStation®VR transports players from their homes into the heart of incredibly immersive virtual reality games and experiences. Through stunning visuals, 3D audio and intuitive controls, PlayStation®VR players live out their most epic gaming dreams – from high-octane racing and battling dragons, to exploring deep space and coming face-to-face with nerve-shredding horror. 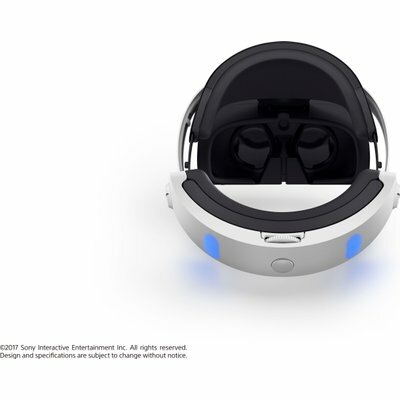 Jump into over 100 breathtaking virtual reality games and experiences with PlayStation®VR. 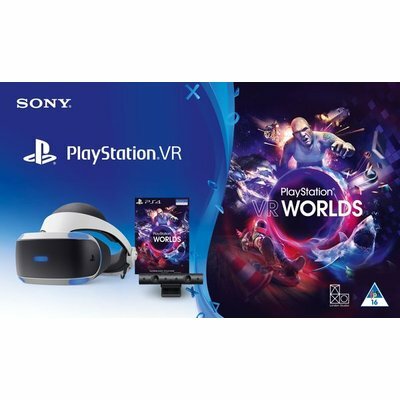 Fully compatible with PlayStation®4 and PlayStation®4 Pro, PlayStation®VR is very simple to set up and use. 360º VISION: Absorb every second of the action, whichever way you turn, through a custom 5.7’ OLED screen with smooth visuals and super low latency. 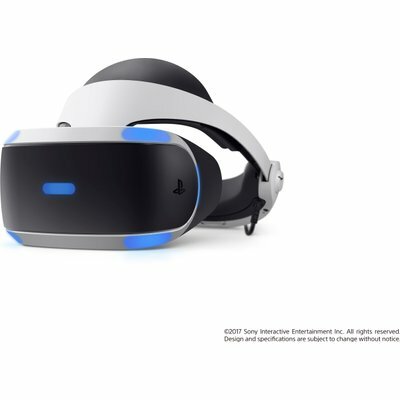 The stereo headphone jack has been moved to the rear end of the VR headset. Cables connecting the VR headset and the Processor Unit are combined into a single slim cable for easier set up. New headphone holders on the VR headset allow users to safely store their stereo headphones’ earpieces when not in use. 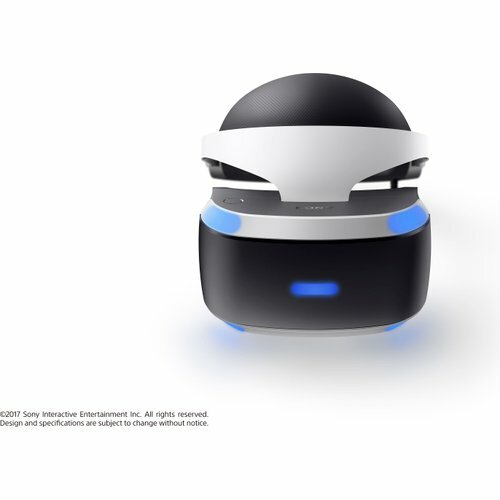 The Processor Unit supports HDR via pass through* (when the VR headset power is turned off, the HDR pass through will allow the data content to be passed directly to the TV monitor from the PS4™ console), allowing users to enjoy the content without having to disconnect the processor. * Pass through is a function that will allow the data to “pass through” the processor unit without having to convert the supported data, enabling players to enjoy PS4™ content on a TV without having to disconnect the Processor Unit in between the TV and the PS4™ console. This function can be used only when the VR headset is turned off. 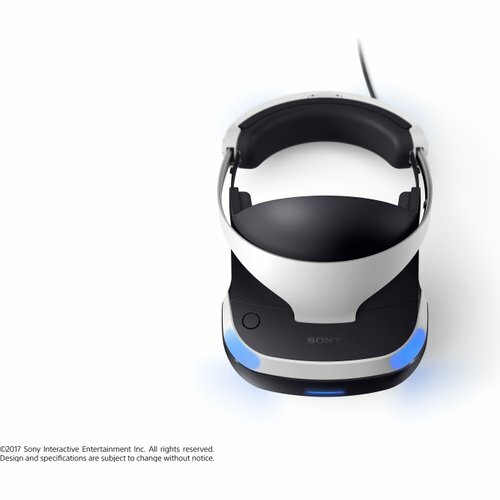 The new PS VR model allows HDR data to pass-through from the PS4™ console to the TV.